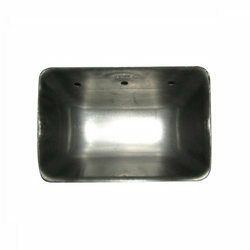 Manufacturer of a wide range of products which include elevator buckets. Being one of the leading names of the market, we are involved in proffering a massive collection of Elevator Buckets. Manufactured in compliance with the industry guidelines, these buckets are widely utilized in industries for handling free flowing material. Supreme quality raw material is used for the manufacture of the proffered selection of rugged elevator buckets. Features: Ruggedly constructed Tough construction Longer operational life Specifications: Size: Customized We are mainly looking for North India, North East, West Bangal Queries. Looking for Elevator Buckets ?